At any rate, we’ve all been reading. I hope you have been too. Here’s what is currently in our stack for April. 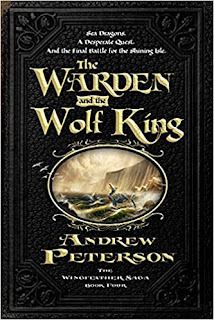 The Warden and the Wolf King- This is the very last book in the 4-part Wingfeather Saga. 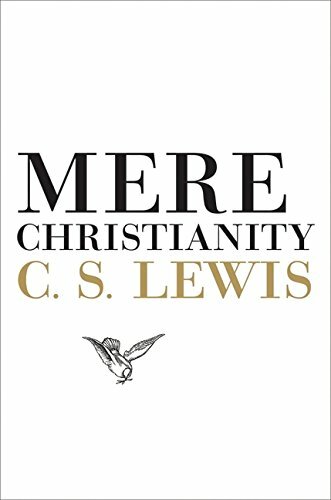 It feels like we’ve been reading this series since the beginning of time--but not because it has a bad storyline, but because each book is really long, especially this last one which is so thick it could double as a defense weapon in a pinch. We are halfway through it and can’t wait to learn the outcome of the Igiby family as they face Gnag the Nameless in a final showdown. 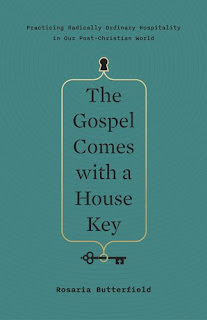 The Gospel Comes With a Housekey- I started this book last year but wasn’t able to finish it in time before it came due at the library. I’m so grateful to have a second crack at it. One part memoir, and one part mantra, it’s a call to radical hospitality written by a former lesbian who was brought to the gospel through the genuine love and firm truth presented by a family willing to invite her to their table. 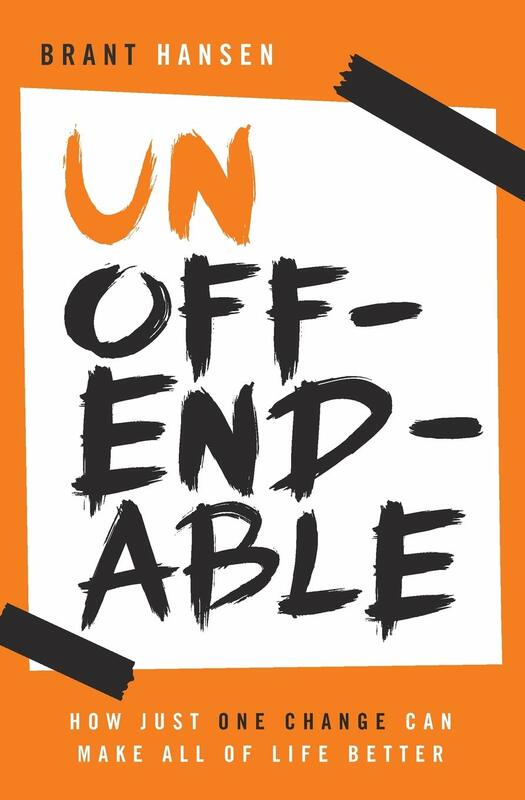 I appreciate how the author recognizes some long-held hypocrisy in the church regarding this divisive topic while not budging one iota on the holiness and righteousness of God. True to You- This is another title that I checked out from the library last year and never got a chance to actually read. 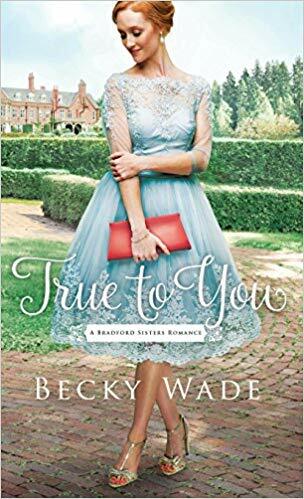 It's a contemporary Christian fiction about the budding romance between a genealogist and a former Navy SEAL who finds himself searching for the secrets of his ancestry. Unoffendable- This book tackles an issue that the church has swept under the rug for far too long: the sin of offense. Brant Hansen hosts my daughter’s favorite podcast. But he's not just an interesting speaker, he's also a good writer. 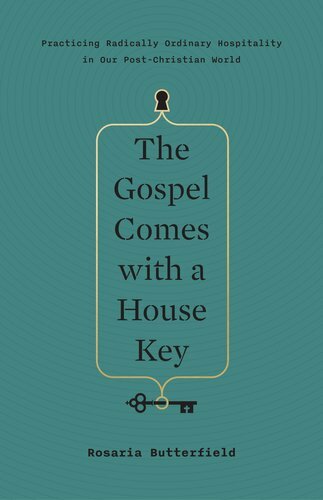 By combining the parable of the forgiven debt with his quirky sense of humor, Hansen challenges his readers to think about church culture in a different way. Boys in a Boat Young Reader’s Edition- This is the story of 9 working-class American boys who teamed up to challenge Adolf Hitler's German rowers in the 1936 Olympics. This particular adaptation of the story has been written specifically for tweens and teens. Wilderness Living- Like his dad, my oldest son loves learning survival and bush crafting skills. He’s definitely a person you’d want at your side should you ever find yourself lost in the woods. This is a vintage, out-of-print book, but one of many outdoor adventure titles in our family library. From the Mixed-Up Files of Mrs. 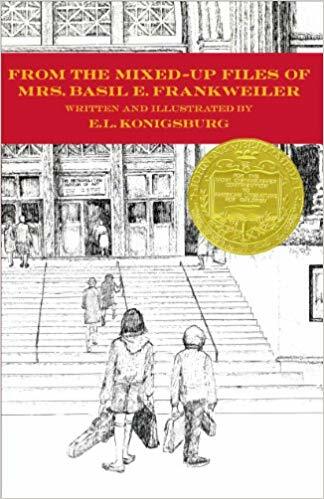 Basil E. Frankweiler- My middle son wanted to read a spy novel. Unfortunately, most spy-themed books at his reading level have unappealing and unbelievable plots lines--the kind with gangs of tabby cats wearing trench coats and solving crimes--or are riddled with foul language and graphic themes. He's not interested in the former and I refuse to introduce him to the latter. This book was the compromise. To be honest, it's got some issues. Some of the sibling relationships get kind of sassy and unkind. But all in all, the story satisfies his need for a spy thriller and my need to keep his innocence intact. 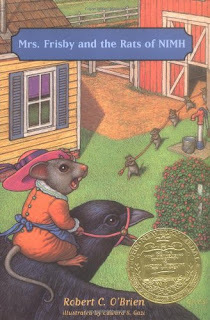 Mrs. Frisby and the Rats of NIMH- My son is almost done with this family favorite which tells the story of a mouse mother, Mrs. Frisby, and her desperate attempt to heal her sick son, Timmy, before he’s crushed by Farmer Fitzgibbon’s lawnmower on moving day. I’ve promised my boy a movie night when he’s all done reading the book. We’ll hunker together on the couch cocooned in blankets and bowls of popcorn to watch the 1982 animated version. 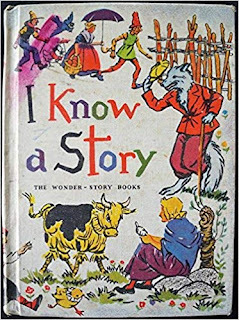 Tell Me a Story- This is a vintage, out-of-print book that I’ve enjoyed with all of my kids. Unlike other early readers which include silly, forgettable stories, this book is filled with classic fairy tales which are all written with an emergent reader in mind. It is one of several titles in the Wonder Book Series, an old literature collection that graced many North American classrooms in 1953. 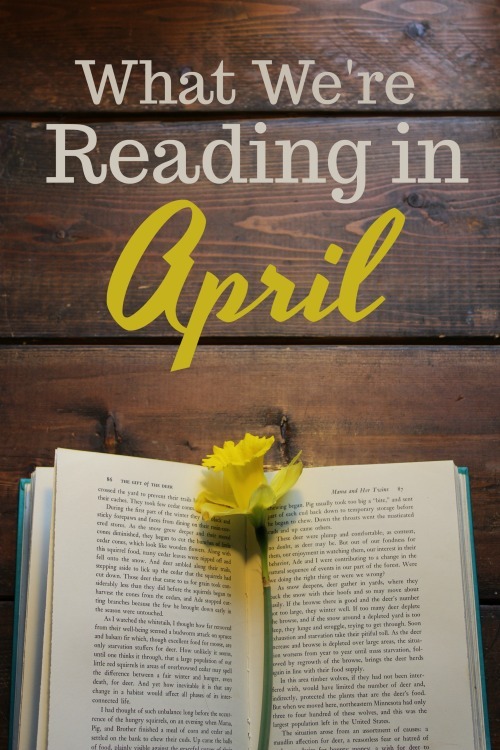 That’s what we’ll be reading in April. What about you? Whatcha reading? Thanks to reading these posts, I ordered Book 1 of the Wingfeather Saga to try out. 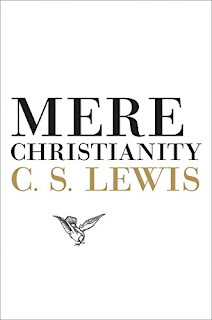 We are a few chapters in and I feel that we will like it. To be honest I wasn't sure at first. Always love to try new series...so thanks! One of the books I'm reading right now is Homeschool Bravely. Ever hear of that one? :) I am really enjoying it! 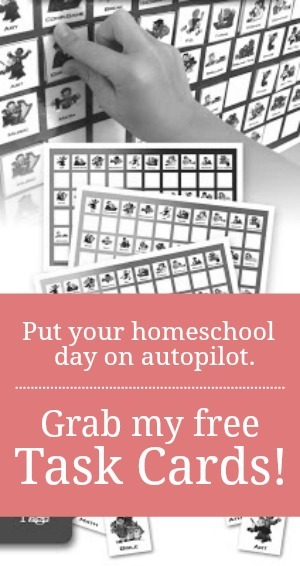 Very encouraging even for a veteran homeschool mom. Homeschool Bravely? It rings a bell. 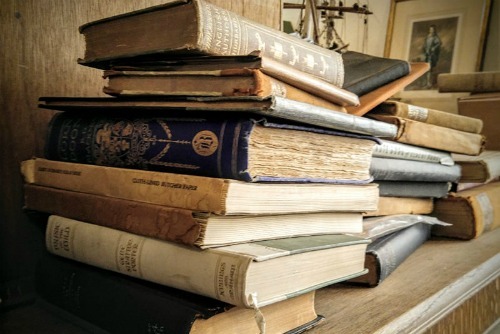 Yes, keep with the Wingfeather books. I didn't like the first one right away either. It definitely took a few chapters to get into it. 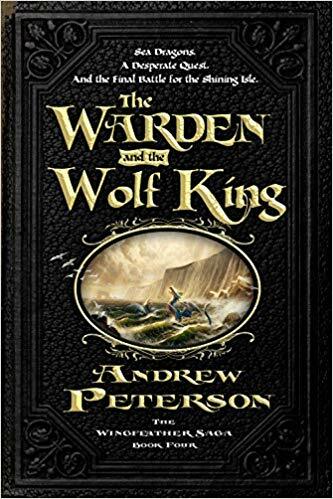 I feel like I should warn you that I wept through the end of Warden... It was an excellent end to a good story. That's what I've heard. I'll have tissues at-the-ready. I like your "what we're reading" posts. I've never heard of Rosaria's book, but I've had her Secret Thoughts of an Unlikely Convert book on my to read list for such a long time. Maybe time to move that up. 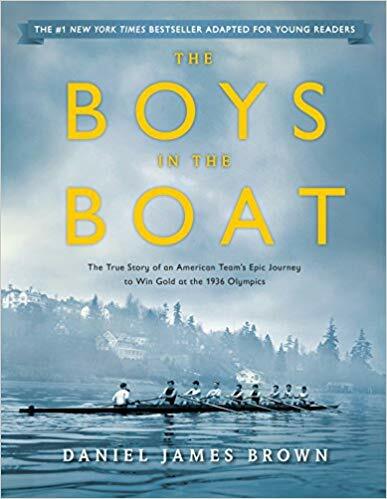 I'll have to recommend the Young Readers edition of Boys in the Boat to my 9 year old, as he loves nonfiction. I just finished Lopez Lomong's Running for My Life, which was inspiring, and am reading The Lady and the Lionheart by Joanne Bischoff. Our family read aloud is Tuck Everlasting. It's led to some great conversations. Tuck Everlasting has been on my Read Aloud list for quite some time. I'm hoping it will spark lots of conversations. Glad to know it will!